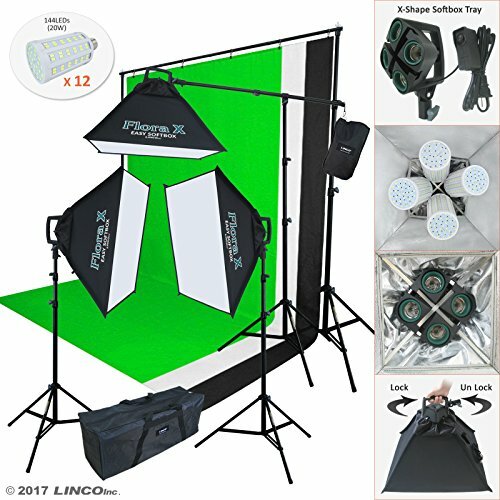 3 x 3452 Flora X Auto Pop-Up Softbox Set 20"
- Auto pop-up by throwing out. - No time-consuming assembly process. - New design X-Shape softbox tray. - 2-Point stable umbrella holes. - On/Off switch on the power cord with fuse/cap. - Die cast steel for quality built. - High Capacity Counterweight Bag. - Size: 31x9x12 inches (LxWxH).